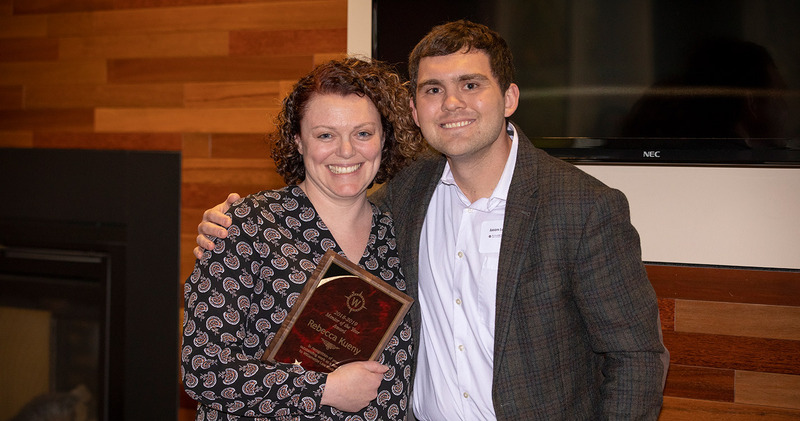 2019 Mentor of the Year Rebecca Kueny JD’13 stands next to mentee Jason LeBlanc JD’19. 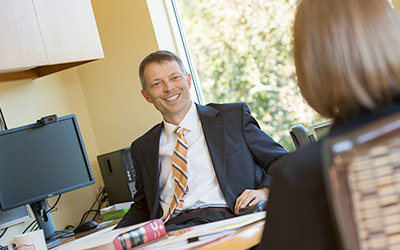 Willamette Law honored Kueny on April 4. Nani Apo JD’13, left, and Allison Boomer JD’09, a magistrate judge for the Oregon Tax Court, received the Hon. Mary Mertens James Award, given only to five-time nominees for Mentor of the Year. Phylis Myles, assistant dean at the Willamette Law placement office, stands alongside them. Rebecca Kueny JD’13, other mentors provide encouragement and support to students. When Jason LeBlanc JD’19 chose to pursue law school, the decision was a big one — he was the first in his family to do so, moving far from home in Colorado. But after he was paired with mentor Rebecca Kueny JD’13, he was “amazed by her unconditional support of students and future lawyers,” he said in his Mentor of the Year nomination letter. Law school can be a harsh environment sometimes, he said, but Kueny encouraged him to keep going. “Whether it was answering my late-night phone calls or helping me in my summer work, Rebecca acted above and beyond the call of duty,” he said. At a reception April 4, Willamette Law named Kueny Mentor of the Year. 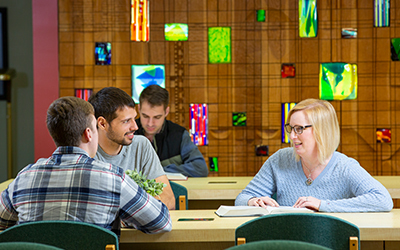 The award is named after late Oregon Supreme Court Justice Edward H. Howell, who became active in the college’s student mentoring program after he retired. Willamette Law also honored two other mentors with the Hon. 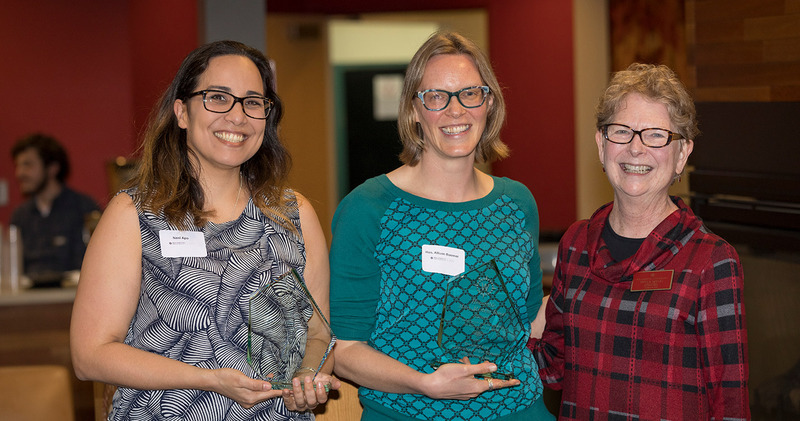 Mary Mertens James Award — Salem attorney and last year’s Mentor of the Year Nani Apo JD’13 and Allison Boomer JD’09, a magistrate judge for the Oregon Tax Court — with the Hon. Mary Mertens James Award. 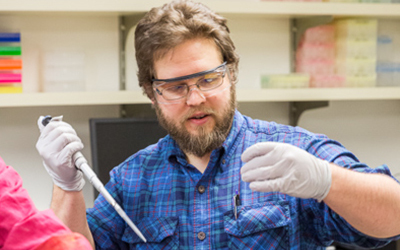 The award is given only to five-time nominees for Mentor of the Year. Kueny, who specializes in elder law at her own law firm in Salem, says the recognition is meaningful because she doesn’t always know how she affects people. But she remembers every person who changed her career trajectory. LeBlanc said that he feels incredibly fortunate to have been one of Kueny’s mentees.